This was just a matter of time, wasn’t it? After Star Wars tikis and Guardians of the Galaxy tikis, there was really only one final frontier left. 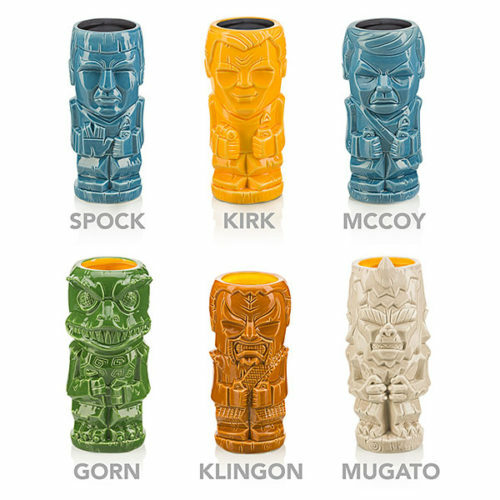 ThinkGeek announced they’ve added a line of Star Trek Geeki Tikis to their offerings, once again a complete set of six for $79.99. 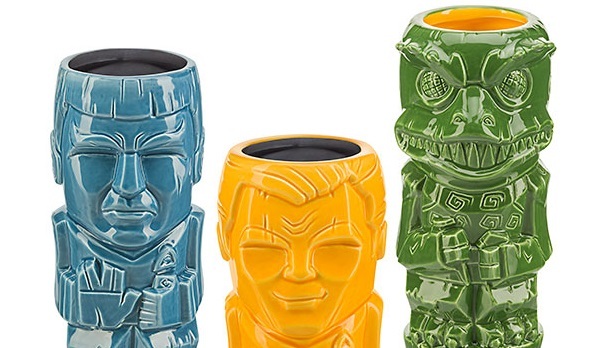 In addition to the expected Kirk, Spock, and McCoy, you can drink your favorite fruity cocktail out of a Gorn, Klingon, or a Mugato (which looks nothing like Will Ferrell). They can go on the top rack of the dishwasher, but are not microwave safe. 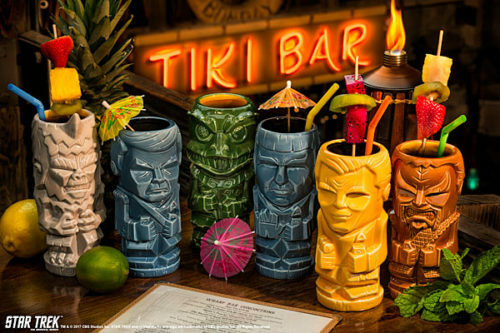 But who’s heating up a tiki drink anyway? Everyone knows tranya is best consumed at room temperature. You can order a set at the link below — and tell them Fanboy Planet sent you!